If you could buy a good used car that will last a long time and get a 9 or 10 percent discount from its market price, would you? It’s worth thinking about, especially if you are among those drivers who keep your vehicle until it stops. Well, iSeeCars.com, a car shopping and comparison website, did some of the thinking for you with its latest report, “Best deals on longest-lasting cars” in which it provides a top 10 list of used cars. And iSeeCars.com isn’t kidding when it uses the term “long-lasting,” as it identifies only vehicles from 2008 to 2012 model years which are “proven to be road-worthy at over 200,000 miles” based on the website’s own data on 400,000 vehicles available for sale April 1 to Aug. 1, 2014. To qualify for the list, used cars and other vehicles had to be available for at least 5 percent below market price, but every vehicle in the top 10 can be found for as much as 8.9 to 10.3 percent average below market price. “These substantial discounts are yet another indicator that, while our economy is recovering, sellers recognize that the best way to sell more cars is to offer them at a discount,” said Phong Ly of iSeeCars. Ford Explorer, 20 percent, 53,456 miles, $21,832, 9.4 percent. Acura TL, 20 percent, 46,956 miles, $21,532, 9.2 percent. Ford Taurus, 19 percent, 58,737 miles, $15,114, 10.3 percent. Nissan Maxima, 18 percent, 46,366 miles, $18,292, 10.2 percent. Toyota Camry, 17 percent, 39,648 miles, $16,303, 9.5 percent. 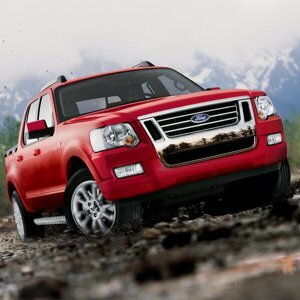 For example, 20 percent of 2008-2012 Ford Explorers are sold at more than a 5 percent discount, have average mileage of 53,456 and are available for an average $21,832 or 9.4 percent below market value.